If you haven't done it yet, choose the server of your workspace that will host your website. 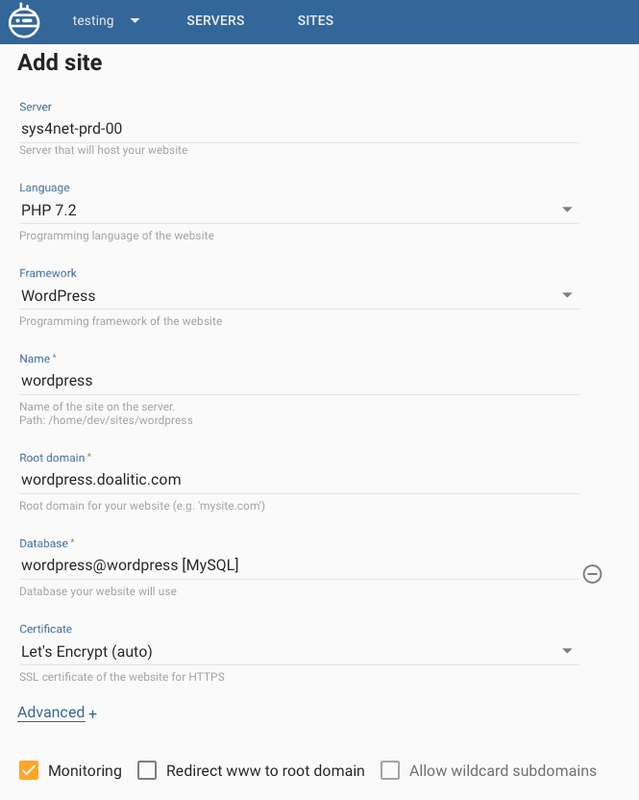 Choose 'WordPress' as the development framework. Check the install WordPress box if you want Moss to install and set up WordPress on your behalf. This is the recommended option, although you might prefer not using this if you're migrating an existing WordPress. 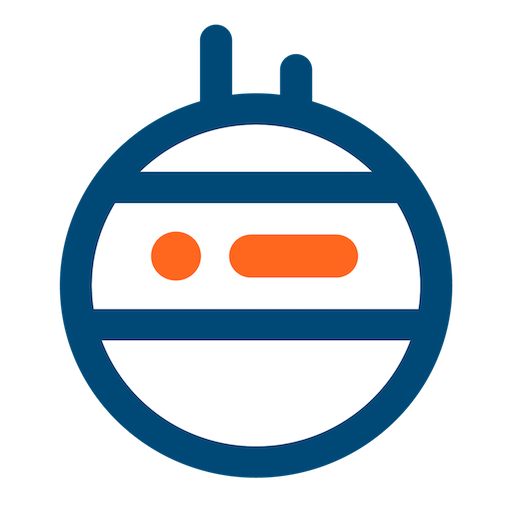 Choose the web server stack for your site. 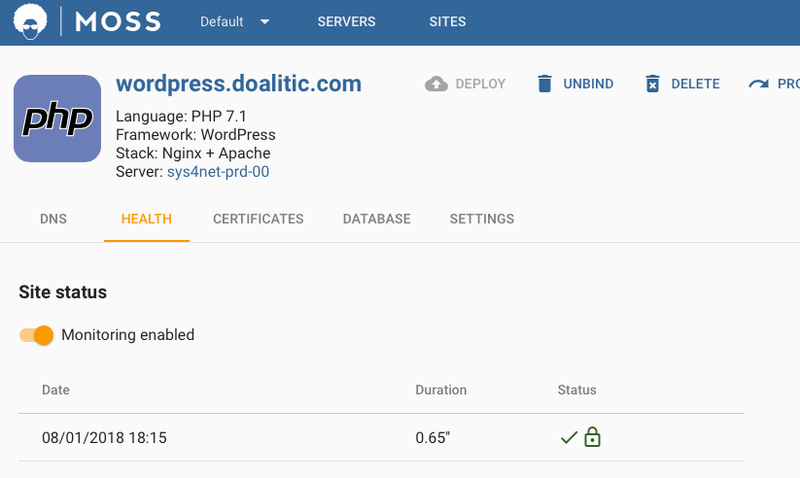 We recommend that you use Nginx as a reverse proxy in front of Apache because some plugins require Apache's .htaccess file, but you may use Nginx as the only web server instead. Provide the root dir within the base path that contains your website's public content (e.g. index.php). E.g. if these files are within a public/ subdirectory, Moss will set up the web server to serve your site from /home/<site-user>/sites/<name>/public. The title of your blog, i.e. the title of the web you're creating. 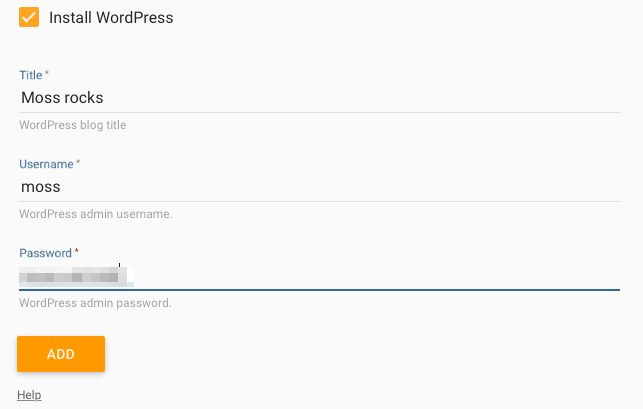 The username you'll employ to manage your WordPress. The password of such admin user. Your web server is serving the content of the directory /home/<site-user>/sites/<name>/public/. Now it's time to open a browser and visit your site. 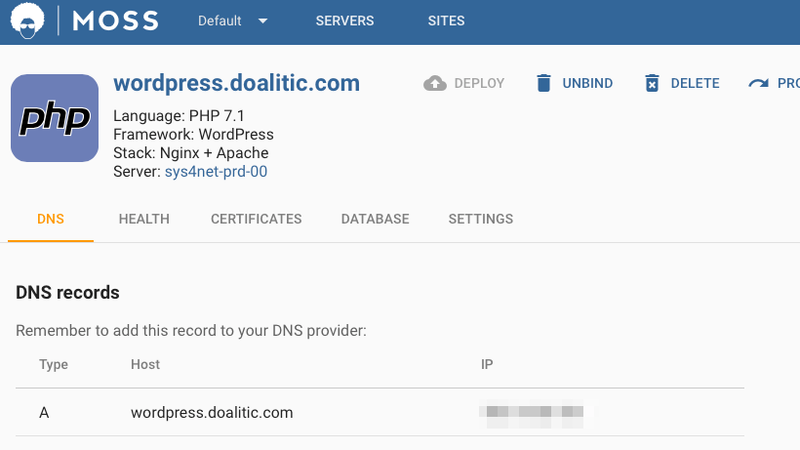 If you cannot update DNS records at this very moment, you can change your domain name to browse your website leveraging your server's IP address. If you choose this path, bear in mind that you should also change WordPress URI and Site URI. Congratulations! Moss installed, configured, and is monitoring your new website 😃 . Now you can log into your WordPress dashboard to add content to your web, customize the look&feel, or install your favorite plugins. Or if you prefer, you may keep adding servers and websites with Moss.